Once an ancient pilgrimage site, Santa Seraffa is a wonderful estate of eighteen hectares perched on the pass dividing the Scrivia valley from the Gavi area, from where it looks down over the surrounding hills. For centuries, the cultivation of cortese grapes for the production of Gavi has reached peaks of excellence, thanks to a very special terroir which enhances the elegance and freshness of this wine. According to evidence dating back as far as the twelfth century, the tiny hermitage of Santa Seraffa, perched on the pass dividing the Scrivia Valley from the Gavi area, was a a pilgrim destination, located on an ancient trail leading to the Scrivia Valley. In 1228, it provided hospitality to the Milanese ambassadors and delegates from Genoa and Tortona at the end of the war for the possession of Arquata and Capriata. Even then, the Cistercian monks used to lovingly cultivate the vines, thus contributing to the high reputation of this region’s wine. The prince of the varietals was – and still is – the cortese grape, used to produce Gavi, one of Piedmont’s great white wines. The place name of Santa Seraffa lives on in the eponymous estate, possibly built on the ruins of the ancient monastery which, in the second half of the XVII century, was indicated as a «church and farm». After years of private management, Santa Seraffa joined the Araldica Group in 2017. Today, 18 hectares are planted with vines, all within the Municipality of Gavi, amounting to a production of around 125,000 bottles of Gavi DOCG del Comune di Gavi alone. 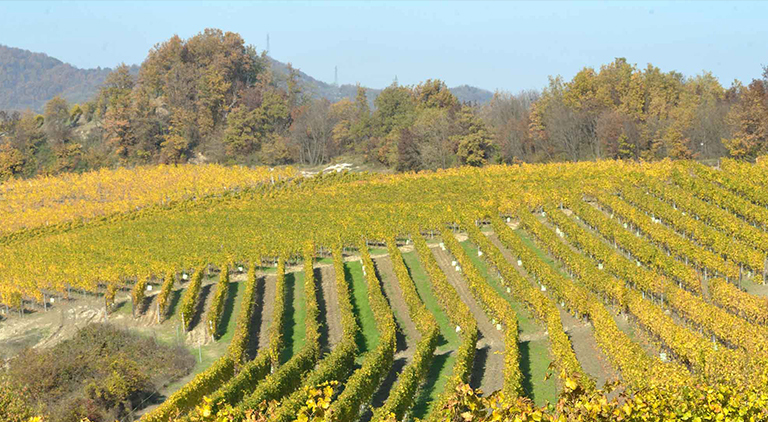 Santa Seraffa farms 18 hectares of vineyards in the Municipality of Gavi. 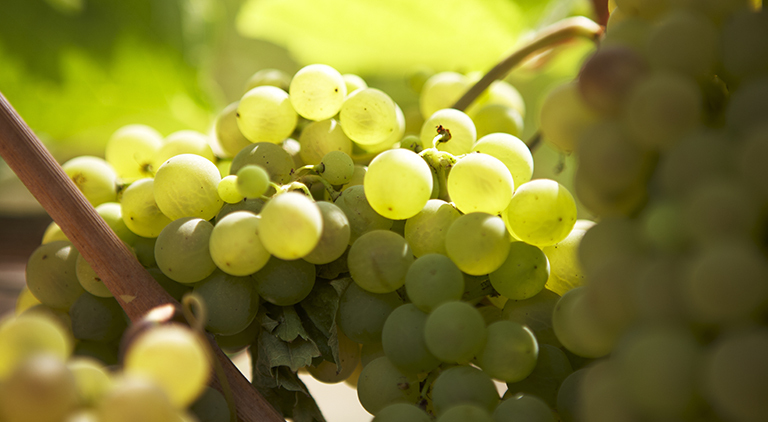 The only varietal cultivated on the estate is cortese, on which all farming and oenological efforts are focused in order to obtain an elegant, fine and luminous Gavi wine of unique personality. 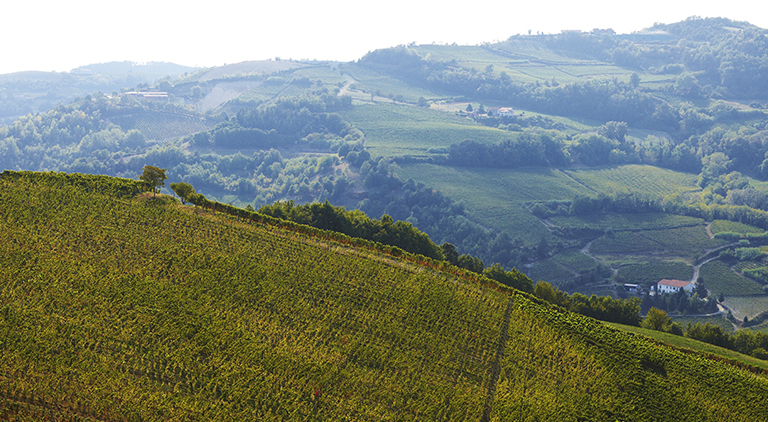 The vineyards of Santa Seraffa lie to the east of the Gavi Munipality on a range of hills dividing the Gavi area from the Scrivia valley, rich in woodlands, sunny vineyards and watercourses. In this area, the cortese varietal has always expressed its maximum potential, while forming a unique and well defined personality: a great varietal able to encapsulate the complexity of Piedmont wines and their extreme elegance, with the typical notes and characteristics of Liguria, the minerality endowed by its soils and by the influence of salty breezes blowing in from the sea. It is in this marvellous context, between sea and hills, that the terroir of Santa Seraffa and Gavi wine have taken shape. 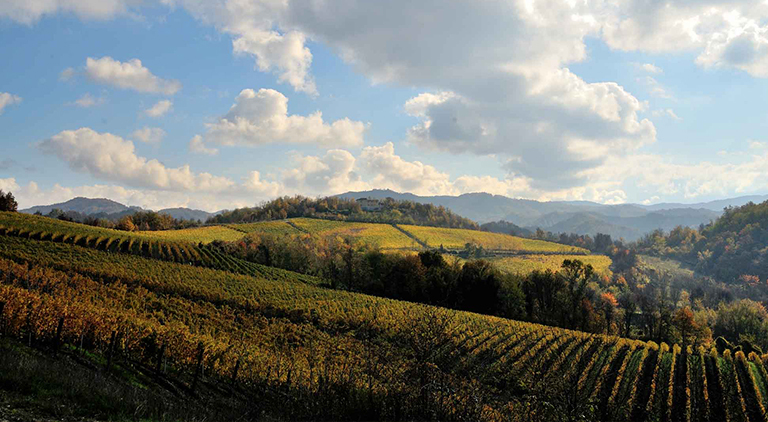 Santa Seraffa is positioned in the central strip of the Gavi appellation, comprising 11 municipalities in the most remote south eastern corner of Piedmont in Alessandria province. This strip alternates marl with sandstone: white calcareous soils dating back to the Serravallian age, typical of the Gavi municipal area. 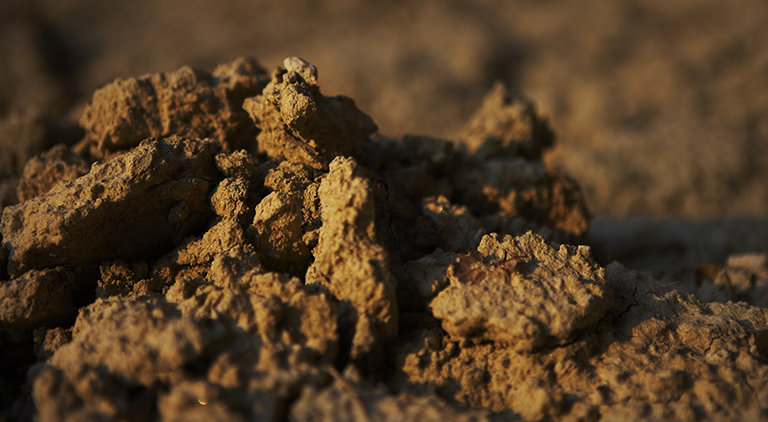 From a chemical-physical point of view, the soils are devoid of active limestone and scarcely acidic, with a high permeability and good water retention capacity. The area lying between Gavi and the Valley Scrivia, characterized by woodlands and watercourses, generally has a more humid microclimate than the surrounding lands. The different soil compositions and the particular soil climate conditions regale wines of a pronounced freshness, characterized by a lively acidity and strong mineral accents. Wines from Santa Seraffa, whose grapes are harvested and fermented in the cellars of the estate, have obtained SQNPI certification – the acronym stands for Sistema di Qualità Nazionale di Produzione Integrata (meaning National Quality System of Integrated Production). The bee symbol appearing on the label guarantees that each phase of wine production has complied with the strict standards of integrated production, making it sustainable and eco-compatible, as certified by a third party independent entity. 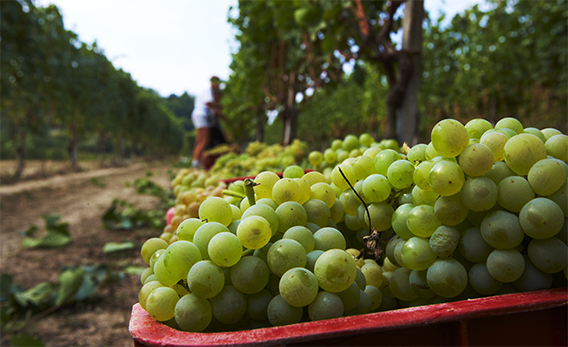 All phases of wine production are carried out on the estate of Santa Seraffa. Once the grapes have been hand-picked, they are immediately transferred to the cellar, cooled to a temperature of about 5°C and gently crushed. This cold crushing operation avoids micro oxidizations and preserves the best of the aromatic substances contained in cortese grapes.